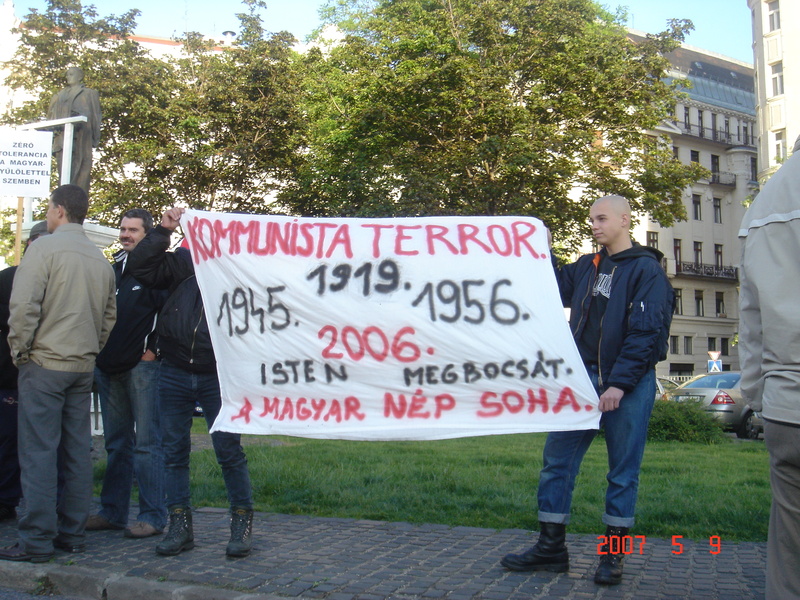 “Communist Terror. 1919, 1945, 1956, 2006. God Forgives. The Hungarian People Do Not.” Anti-goverment demonstrators (5/9/2007).